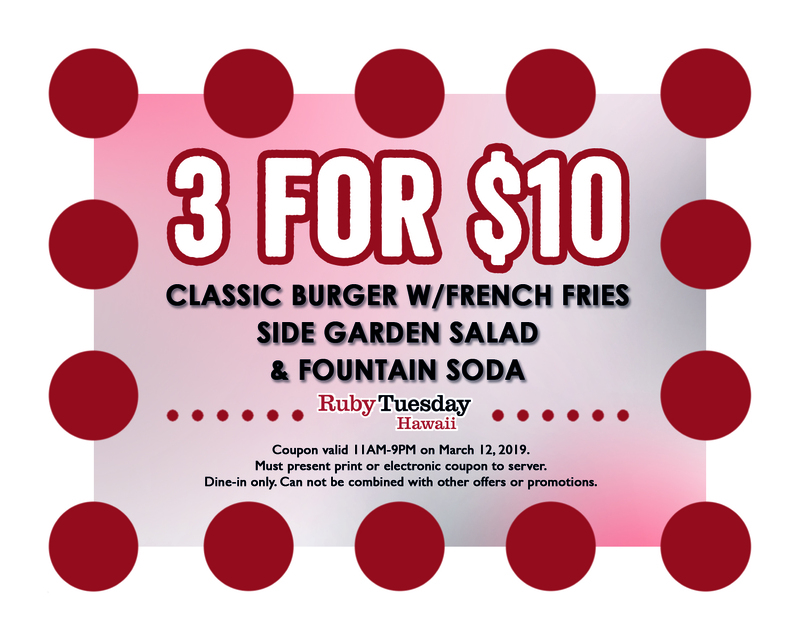 Enjoy this flash sale ONE DAY ONLY at any Ruby Tuesday Hawaii location on March 12th! Ruby Tuesday Garden Bar Flash Sale! Flash Sale Coupon PLUS More Spring Savings!